Christmas day, 1999 will be a day that will always stand out in my mind. That day my son gave me a present that has become the greatest link to my dad, Harold Rhodes and his involvement in W.W.II. He gave me a model of a B-24, the plane my Dad was on for 29 missions before they were shot down. The model would have been a wonderful gift in and of it's self. However the events prior to Christmas day held the mysteries of the past. That knowledge of this would not be known for another two years. My father never talked much about the war that any of us can remember. He died at the age of 47 so as a family, we never knew much about the portion of his life during the war. My son contacted both my mother and my sister trying to get information about the plane my dad was on so he could make a model of it and give it to me for Christmas. About all they could tell him is that dad was a top gunner on a B-24 named Naughty Norma and they were shot down on their 29th mission and landed in Sweden. That was about the extent of it. Ked wanted more information so he went to the web. On October 12, 1999 my son posted a message at a B-24 veterans group web site asking if anyone had any information on a plane named "Naughty Norma". He did not think any more about that posting until Tuesday, May 22, 2001. When he went back to the site he found that three replies had been posted. That set into motion a whole change of events. My son sent me, Sheldon, an email telling me what he had found out. 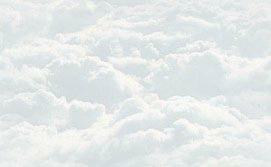 He sent the message to an address that I seldom check. For whatever reason, I checked my mail on that account on Friday, May 25th and found Ked's message waiting for me. When I read how he had found the replies, I immediately went to www.google.com and did the same search that he had done. That took me to the replies that he had received.. One of the postings was from Tom Brittan so I sent him a message the same day. He replied on Saturday with information and the casualty report for a B-24 numbered 42-100281. That apparently was the plane named Naughty Norma but I knew it could not be right because my dad was not listed on the crew. I replied saying that about all I knew was that Dad was shot down and they landed in Switzerland On Sunday Tom replied with the names of the planes that had gone done in Switzerland As I read the word Switzerland I realized I had made a mistake. Dad had gone down in Sweden. I sent Tom a quick reply along with an apology. It seemed only fitting that Tom's reply about 42-94973 came on Monday, May 28, Memorial Day. Dad was listed on the crew. As I looked over the casualty report with my dad's name on it I felt as though I had just found a huge missing link to my dad's war experience. As I read down the list of names of the men that were with dad on that fateful day, I wondered what had ever happened to the rest of the crew. Could it be possible that any of them were still alive? Of course they could be. They would have to be about the same age as my mother. With that in mind I did a search for the pilot, John Forsyth. The results were overwhelming. There are LOTS of John Forsyth's. Where would I even start? How long would it take to go through all those names only to find that none of them was the pilot of Naughty Norma? I felt I had found something but the task was too great. Then the thought came to me that perhaps I could narrow the search down by putting in the middle initial that was listed on the report. That search narrowed it down to just two names. But what are the chances of either of them being the right one? How many people have their middle initial listed on the web somewhere? Of the two names in front of me, one was from the North, the other in Florida. If he was the age of my mother, he would most likely be retired. If he is retired, he would want to live in Florida. Made since to me. Even if it wasn't him, I had to start somewhere. I dialed the number in front of me and a lady answered. I introduced myself and told her that I was looking for a John Forsyth who had piloted a plane during W.W.II. named Naughty Norma. She said, "That would be my John. Let me get him for you." That evening I had to privilege of talking to the hero who had flown my dad on every mission he was on. For the first time I heard the stories of several of those missions. I found out things that made me prouder than ever of my father. I found out that Naughty Norma really was "their" plane. However it was not the plane they were shot down in. You will have to read the "rest of the story" to find out why. As soon as I hung up from talking to John, I called my mother and told her the events of the past couple of days and how it led up to the conversation of the past hour or so. By the evening of the 29th I had talked with and tape recorded the conversations of a total of five of Norma's crew. I called my mother and sister and shared with them a lot of the information but I knew that there was parts of the story that I had left out. I also knew that my own children and family would also want to know what I had learned. So in an attempt to get them as much information as possible, I scripted out the conversations word by word. I then combined each conversation into the chronological order and posted that information on this site. It wasn't until the next day, Wednesday, May 30 that I realized that I had posted this site exactly 57 years to the day that Dad and his crew were shot down. It never accrued to me as I was putting all of the information together that it was on the anniversary day of them going down. Since that day I have exchanged pictures and information with each of those crew members. From that I have been able to add pictures of the events. My sister Lila, her son Dusty and my son have all done a lot of the research providing me with links and lots of information. It is our desire that this site will be of interest to you and that all of us will have a greater appreciation for the men and women who have fought and are fighting to keep our Country free. We owe them more than we could ever repay. Who knows what a model B-24 might do for you? 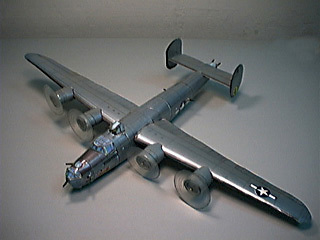 Our friends over at Fiddlers Green have developed a wonderful paper model of a B-24. It is well worth the small price they are asking and you could be working on it in the amount of time it took you to read this page. Why not download it while you are reading the next chapter in my Dad's story? Click here to get this model. Home To go to childhood years.